#AdventCalendar Day 18 #Orphans and #CareExperience in fiction: #StoriesForHomes, edited by Debi Alper and Sally Swingewood. A slight detour today, though there is a link to Orphans and Care Experience in Fiction. 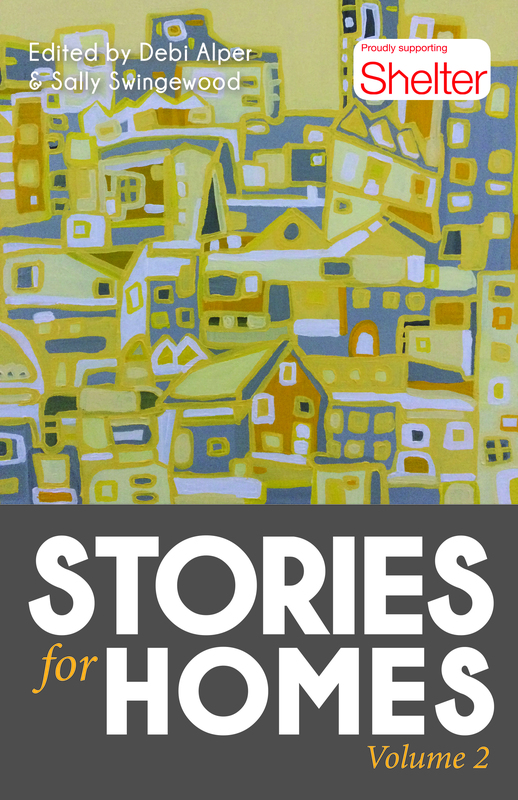 Stories for Homes (2017), is a collection of witty, poignant, funny and heartbreaking short stories by fifty five authors, both established and emerging, reflecting the connection between the immediacy of the housing crisis and the stories people tell about their lives around and within it. A home is something most of us have the luxury of taking for granted but for many it is a grim struggle to obtain what should be a basic necessity. Volume Two of the anthology includes stories, poems and flash fiction and again all proceeds will be donated to Shelter, the charity for housing and homelessness. Within this collection of short stories are characters who are orphans, those who have been fostered, are or have been in residential care and adopted. A plethora of care experienced characters because unfortunately the stats that link care leavers with homelessness are far too high. Every two minutes someone in the UK faces losing their home. From Ayers Rock to Babylon to somewhere out of this world via the edges of our own, the stories in this collection examine the concept of home from every angle. Created by a new community of people brought together to create a world class collection of short fiction in all genres, all profits from sales of this book go to the homeless and housing charity, Shelter. If you want a seasonal present for yourself, or a friend or family member, that goes on to do good in this fractured world, you can purchase Stories For Homes.